2Department of Industrial Engineering, Amirkabir University of Technology, Garmsar Campus, Iran. Most of the existing approaches for fuzzy reliability analysis are based on fuzzy probability. The aim of this paper is to describe fuzzy reliability using fuzzy differential equation. The reliability of a system in real world applications is affected by some uncertain parameters. Fuzzy reliability is a way to present the reliability function uncertainly using fuzzy parameters. In the proposed fuzzy differential equation for reliability, two types of fuzzy derivative: Hukuhara derivative and generalized differentiability are used. It is proved that the Hukuhara differentiability is not adequate for fuzzy reliability analysis. Finally, using the fuzzy integration, the concept of fuzzy mean time to failure (FMTTF) will be introduced. Some numerical simulations are presented to show the applicability and validity of generalized differentiability, in comparison with the Hukuhara differentiability results for fuzzy reliability analysis. A. Khastan, Rosana Rodrguez-Lpez, (2015). “On periodic solutions to first order linear fuzzy differential equations under differential inclusions approach”, Information Sciences, Vol. 322, pp 31–50. Amit Kumar, Sneh Lata, (2012). 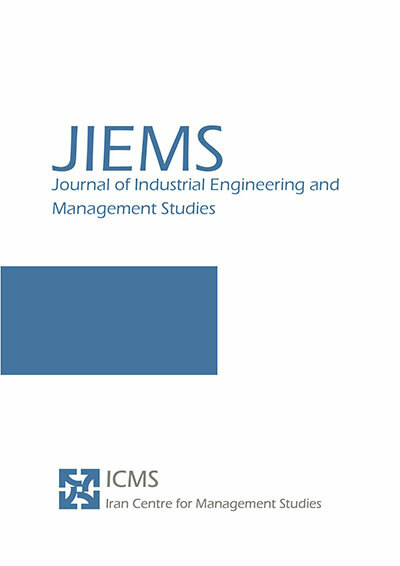 “Vague reliability analysis using vague differential equations”, International Journal of Performability Engineering, Vol. 8, No. 5, pp 489. B. Bede, (2013). “Mathematics of Fuzzy Sets and Fuzzy Logic”, Springer. David Gonzalez-Gonzalez, Mario Cantu-Sifuentes, Rolando Praga-Alejo, Bernardo Flores- Hermosillo, Ricardo Zunniga-Salazar, (2014). “Fuzzy reliability analysis with only censored data”, Engineering Applications of Artificial Intelligence, Vol. 32, pp 151–159. Don-Lin Mon and Ching-Hsue Cheng, (1994), “Fuzzy system reliability analysis for components with different membership functions”, Fuzzy sets and systems, Vol. 64, No. 2, pp 145–157. E Baloui Jamkhaneh, (2014). “Analysing system reliability using fuzzy Weibull lifetime distribution”, International Journal of Applied, Vol. 4, No. 1, pp 93–102. Hadi Sadoghi Yazdi, M Pakdaman, Sohrab Effati, (2008). “Fuzzy circuit analysis”, International Journal of Applied Engineering Research, Vol. 3. Harish Garg, (2015). “An approach for analyzing the reliability of industrial system using fuzzy kol- mogorov’s differential equations”, Arabian Journal for Science & Engineering, Vol. 40, No. 3. Hsien-Chung Wu, (2004). “Fuzzy reliability estimation using Bayesian approach”, Computers & Industrial Engineering, Vol. 46, No. 3, pp 467–493. Huey-Ming Lee, Ching-Fen Fuh, Jin-Shieh Su, (2012). “Fuzzy parallel system reliability analysis based on level (λ, ρ) interval-valued fuzzy numbers”, International Journal of Innovative Computing, Information and Control, Vol. 8, No. 8, pp 5703–5713. Julwan Hendry Purba, (2014). “A fuzzy-based reliability approach to evaluate basic events of fault tree analysis for nuclear power plant probabilistic safety assessment”, Annals of Nuclear Energy, Vol. 70, pp 21–29. Li He and Xiaodong Zhang, (2016). “Fuzzy reliability analysis using cellular automata for network systems”, Information Sciences, Vol. 348, pp 322–336. Luciano Stefanini, Laerte Sorini, Maria Letizia Guerra, (2006). “Parametric representation of fuzzy numbers and application to fuzzy calculus”, Fuzzy Sets and Systems, Vol. 157, No. 18, pp 2423–2455. Luciana Takata Gomes, La´ecio Carvalho de Barros, and Barnabas Bede, (2015). “Fuzzy Differential Equations in Various Approaches”, Springer. Morteza Pakdaman and Sohrab Effati, (2016). “Approximating the solution of optimal control problems by fuzzy systems”, Neural Processing Letters, Vol. 43, No. 3, pp 667–686. Muhammad Zaini Ahmad, Mohammad Khatim Hasan, and Bernard De Baets, (2013). “Analytical and numerical solutions of fuzzy differential equations”, Information Sciences, Vol. 236, pp 156–167. Peng Gao, Shaoze Yan, and Liyang Xie, (2014). “Dynamic fuzzy reliability models of degraded hold-down structures for folded solar array”, Applied Mathematical Modelling, Vol. 38, No. 17, pp 4354–4370. Sayed Javad Aghili and Hamze Hajian-Hoseinabadi, (2017). “Reliability evaluation of repairable systems using various fuzzy-based methods–a substation automation case study”, International Journal of Electrical Power & Energy Systems, Vol. 85, pp 130–142. Shyi-Ming Chen, (1994). “Fuzzy system reliability analysis using fuzzy number arithmetic operations”, Fuzzy sets and systems, Vol. 64, No.1, pp 31–38. Sohrab Effati, Morteza Pakdaman, (2010). “Artificial neural network approach for solving fuzzy differential equations”, Information Sciences, Vol. 180, No. 8, pp 1434–1457. Sohrab Effati, Morteza Pakdaman, Mahdi Ranjbar, (2011). “A new fuzzy neural network model for solving fuzzy linear programming problems and its applications”, Neural Computing and Applications, Vol. 20, No. 8, pp 1285–1294. Ying Liu, Wansheng Tang, Ruiqing Zhao, (2007). “Reliability and mean time to failure of unre- pairable systems with fuzzy random lifetimes”, IEEE Transactions on Fuzzy Systems, Vol. 15, No. 5, pp 1009–1026.